The days of trying to figure out how to manage multiple iOS devices with one Apple ID are over. This guide will help you identify some of the roadblocks that you may be facing trying to push apps out to your iOS devices. Have a good understanding of what role VPP plays in your mobile strategy. Learn more about how Apple IDs work in the App Store. Understand how VPP works with MDM. 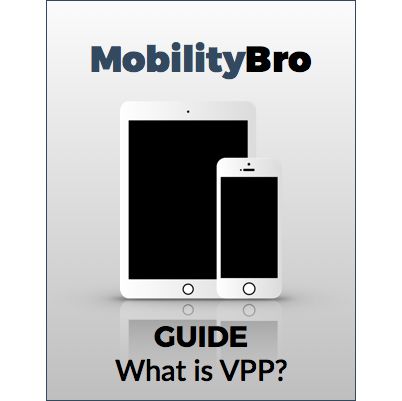 Download MobilityBro's Guide to VPP! MobilityBro will never sell or share your personal information.